TAY NINH (VNS) — Nearly 4,00ha of forest land illegally encroached on by farmers has been taken back for afforestation, the People's Committee of southern Tay Ninh Province has said. 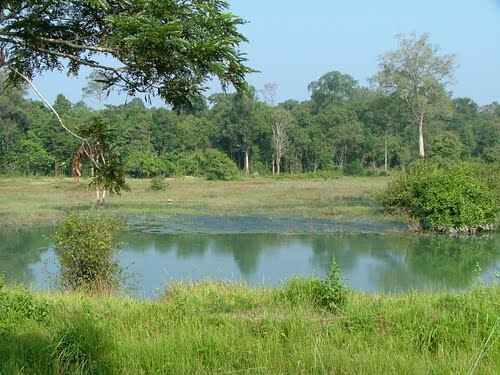 In 2009, due to poor management, many hectares of protected forest in Lo Go-Xa Mat National Park were taken over for agriculture. The losses became greater as the years went by. Some people took advantage of a Government programme to let selected local people take care of forest land and also cultivate rubber trees, cassava and cashews. Ta Van Dao, deputy director of the provincial Department of Agriculture and Rural Development said that after four years of watching developments, the department seized nearly 4,000ha. Most of it came from Tan Chau, Tan Bien and Chau Thanh districts. The land is already being re-afforested. About 55ha remaining has not yet been replanted because it is swampy. Dao said about 220ha of forestry land could not be seized as the people farming it had had been granted land use certificates.